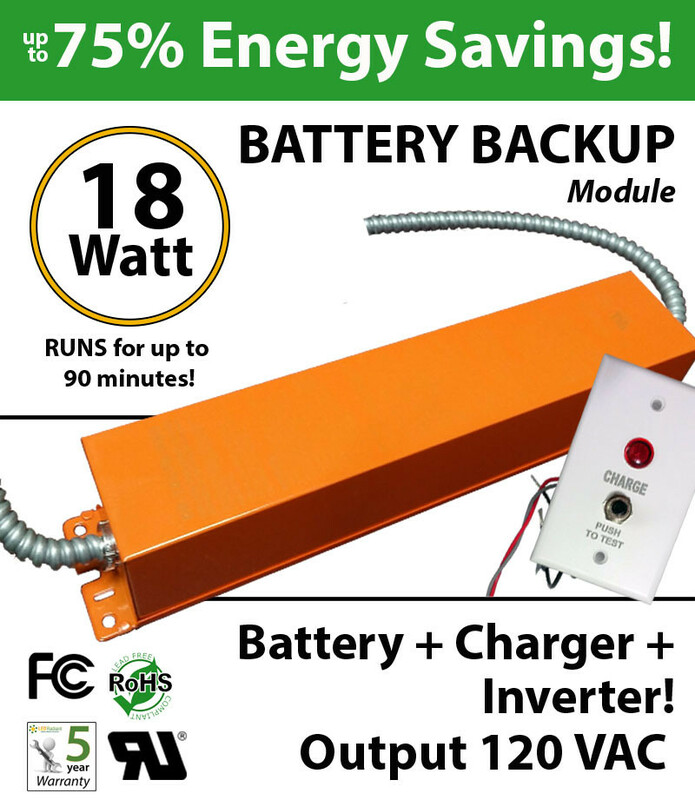 LED Emergency Inverter UR Recognized. 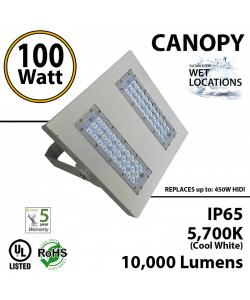 Power any LED fixture or bulb for both normal and emergency operation. 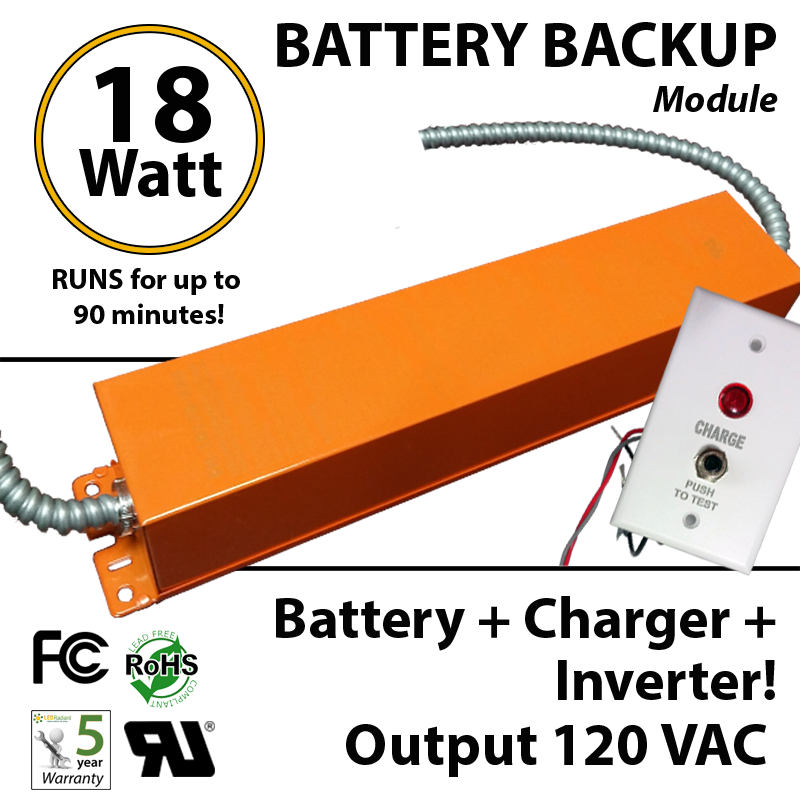 In the event of a power failure, the driver switches to emergency mode and operates the existing bulb/fixture for 90 minutes. 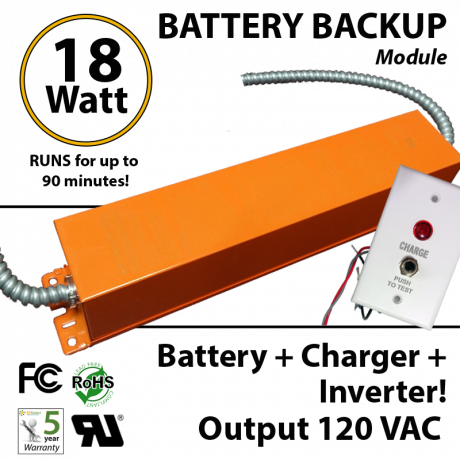 The unit compraises battery, charger and inverter circuit to supply 120VAC to any LED product with internal driver. Product Size:3.0" x 6.0" x 19.0"